Diego Stocco was born in Rovigo, Italy in 1976. He discovered music at the age of 6 when his parents, hoping to calm him down, gave him his first electronic keyboard. That might have backfired! Diego is a composer, music sound designer and performer. 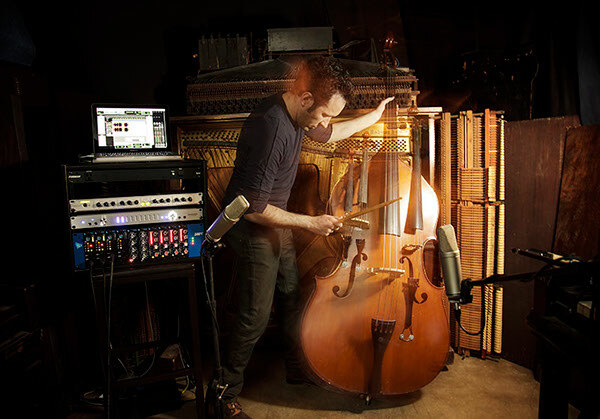 He creates eclectic compositions using custom built instruments, elements of nature and experimental recording techniques. Most recently, he composed the score for the feature film “Chernobyl Diaries”. Diego is also a featured soloist on many films and video games, including “Sherlock Holmes”, “Assassin’s Creed Brotherhood” and “Assassin’s Creed Revelations”. He has also worked as a music sound designer on numerous projects, including the films “Immortals”, “Takers”, “Into the Blue”, “Crank”, tv shows “The Tudors” and “Moonlight”. Diego also created the score for the video game “The Conduit”. Diego Stocco - Transformed Rain from Diego Stocco on Vimeo. His music has been licensed for dozens of film and video game trailers including “TRON: Legacy”, “Terminator Salvation”, “2012”, “Transformers”, “Spider Man Shattered Universe”, Call of Duty, World at War”, “Soulcalibur IV” and numerous tv shows and promos. 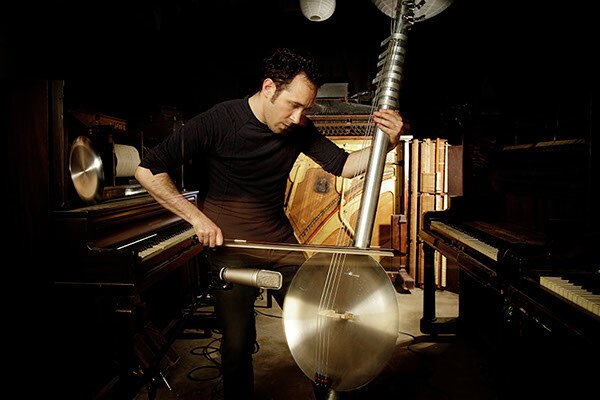 Diego Stocco - Custom Built Orchestra from Diego Stocco on Vimeo. Diego is one of the principal creative sound designers for the multi Award winning Spectrasonics virtual instruments AtmosphereTM, StylusTM RMX and the new Power Synth Omnisphere®. His sounds have been featured on the scores of dozens of feature films, video games, tv shows, records and live shows. Diego creates a series of viral video performances where he explores unique ways of making music, his “Music from a Tree”, “Music from Sand”, “Music from a Dry Cleaner” have been featured on tv and radio shows like NBC’s “Today”, Discovery Channel’s “Daily Planet”, CBS News, NPR’s “Living on Earth” and “All Things Considered”, internationally on Japan’s NHK popular morning show “Ohayou Nippon”, Canal+ in France on “Oeil de Links”, “Global Mag” on German’s Arte TV, and in Italy including “UnoMattina” on Rai1 and other shows on Rai2, Rai3 and Rai4. His work have been featured online on some of the most popular websites and blogs, including Wired.com, Intel’s “The Creators Project”, Boing Boing, and dozens more. Diego collaborated with legendary producer and songwriter Patrick Leonard (Madonna, Elton John, Roger Waters, Leonard Cohen). DTS, Inc. wanted them to create the first musical project mixed with Neo:X, their new 11.1 surround sound system. Later on Diego also produced the 11.1 DTS Sound Signature. Diego also lectures at the prestigious Berklee College of Music in Boston and FIDM in Los Angeles, sharing his unique approach and techniques with their students. Diego is now creating more imaginary sounds, music and video performances.